We provide partnering hospitals with keepsake boxes to offer to moms and families at their time of loss. Boxes include our angel bear, a handmade blanket for swaddling, options to capture handprints and footprints, and burial gowns. These keepsakes are a physical lifetime connection to the child that was only in a parent’s arms a matter of minutes or hours. 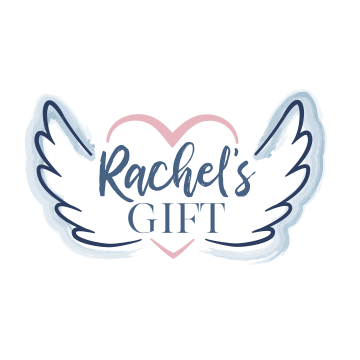 Our boxes also contain literature to help guide parents through baby's end of life plans, resource pamphlets for mother, father, grandparents, family and friends, and a list of local, regional, and national resources to assist them through the grieving process in the months and years to come. Boxes are available in English and Spanish. We provide support for moms and families both in the hospital and beyond. Through support groups, we help families move toward healing. Unlike general bereavement support groups, our groups are specifically designed for families of "angel babies." Families are able to join a support group at any time, where there are both emotional and tangible takeaways. All groups are open to parents, grandparents, extended family, and friends. If we do not offer a support group in a patient's area, we will work to connect them with the best possible support group resource nearby. Click here for a schedule of our active support groups. We keep in touch with our bereaved moms during the first year after a loss through the mail. They are directed to a list of grief resources on our website, and are gently reminded that additional support is always available to them if they need it. There are options for families to stay connected with us and other families through our social media pages, newsletters, and events. Families are able to opt-out of our mailing list at any time. We host a variety of events to support our various programs and to encourage bereaved families to connect with and support one another. Our annual Angel Dash 5K and 1 Mile Walk is our largest event, and is held on the third Saturday in October. We memorialize angel babies (by request) along the race course, and allow a moment for families to come together to honor their angel babies after the event. A team of medical professionals, grief specialists, and mothers who have experienced loss drafted our well-balanced and comprehensive course to educate medical staff on the unique needs of bereaved mothers. After research, we have learned that medical staff have had little to no training in this area. As a result, stress increases for the caregiver and there can be a lack of appropriate care given to the patient. We equip medical professionals with tools to care for bereaved parents effectively. Our class is taught live or facilitated, with questions answered, common situations addressed, and practical procedures provided to help caregivers feel more confident in caring for their loss patients in many different situations. ​Our class is an accredited Continuing Education Course in Ethics for doctors and nurses. Classes are tailored to meet the needs of the professional groups listed.